Not so long ago, marketers were creative Mad Men. Now, a new study by Spencer Stuart shows an alarming number of Chief Marketing Officers (CMO’s) who’ve been fired during 2018. What’s happening? CMO’s, Marketing Directors or Heads of Marketing (delete as applicable! )… what should you be doing to thrive in 2019? 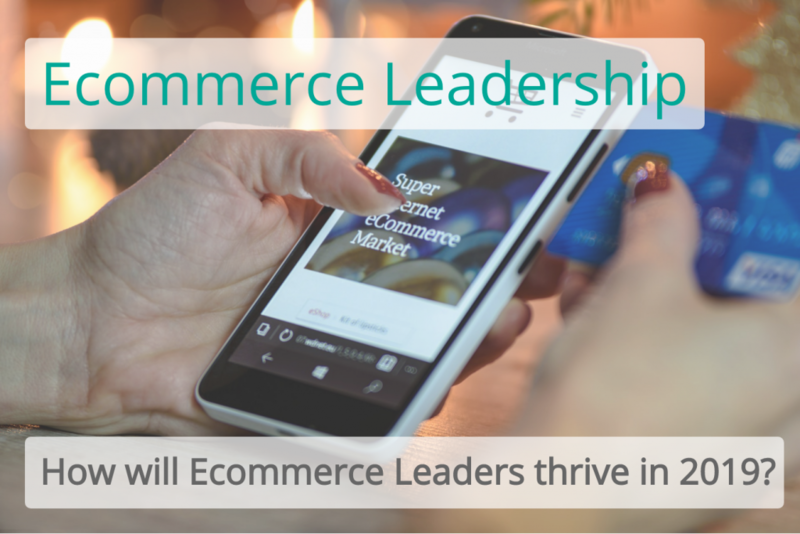 In this article I’ll dive into four key components for Marketing Leadership, with a skew to ecommerce. Whilst this might sound like a basic requirement, I’m yet to work with a website that communicates the value proposition in a sufficiently transparent, clear and quantifiable manner. Gone are the days when customers buy monolithically by brand. Retailers need to have their own ethos about what they stand for. This should set them apart from the competition, resonate with the customer and actually be true (ha!). As consumers increasingly research and compare, the value proposition has never been so important. It should be present on every page on the website, and in all marketing collateral. The value proposition should be: clear (“I get it! ), appealing (“I want it”), exclusive (“I can’t get it anywhere else”) and credible (“I believe you”). All of your customer-facing resources should be leveraged to support and co-design your marketing activities. This means rubbing shoulders with your customer, or with the people that have direct customer interaction. You probably saw this one coming. But many businesses pay lip service to data without truly using it to drive actionable insight and change. Most ecommerce websites aren’t personalised, and that’s the low-hanging fruit; recommendation engines produce poor results; I could go on. Data/analytics has many touchpoints – including supply-chain management, merchandising and marketing optimisation, to name a few – but there’s a common theme. Turning data into action requires a tolerance for testing, experimentation and statistics. Whilst technical expertise are needed, it’s the culture change that tends to be the challenge for most businesses. No one is good at everything and strategic delegation – whether in-house or outsourced – is a necessity. As Spencer Stuart writes, there are “inflated expectations for ‘unicorn’ CMOs who can blend ‘magic’ (creative) and ‘logic’ (i.e. data) and bring others along on the brand journey, while aligning with (or changing) the organizational culture”. Sounds like a tall order! Success comes by enabling and facilitating growth, and that comes with good management and coaching. The pace of digital change is both a threat and opportunity. Whilst certain fundamentals remain perennial (value proposition, intra-team collaboration), other factors will continue to grow in importance throughout 2019 (data/analytics and delegation). Marketing leaders that are able to navigate these four pillars will position themselves to deliver excellent customer experiences and profitable outcomes. How would you rank yourself, and your business, against these four pillars? Got some work to do? For consultancy that increases website profitability with data, and turns visitors into customers, get in touch with me here or on LinkedIn.